Today we had sunny skies. The winds were from the south-west at 10 mph and the temperatures were in the mid 60’s. 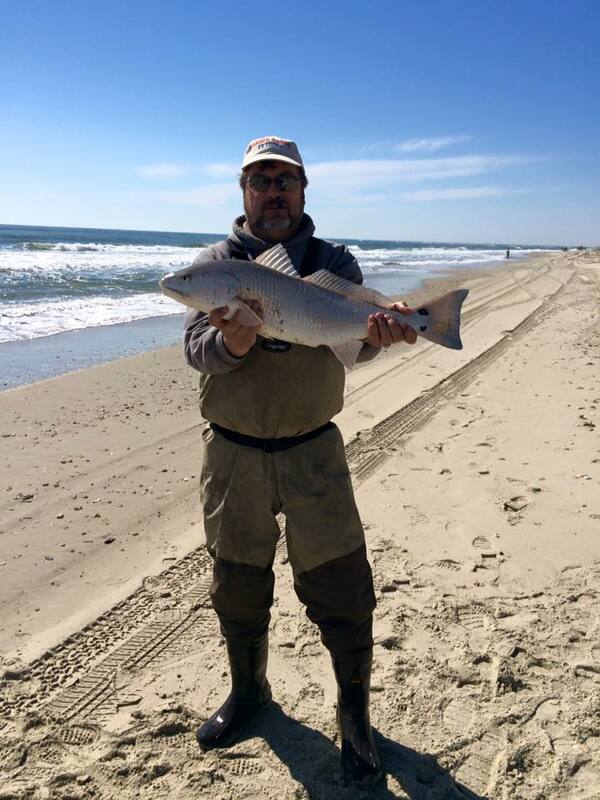 Around the Buxton beaches bluefish, sea mullet and blow toads were reported. Out at Cape Point in Buxton blow toads, sea mullet. 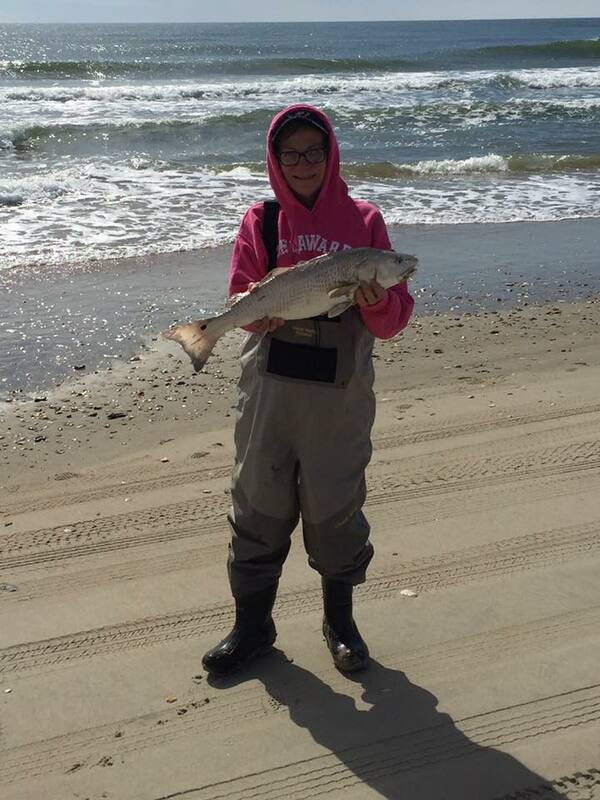 bluefish and dog sharks were caught. Today we reached a high of 60F. We had light north winds up to 5 mph today. There were a few fish caught today. Buxton had a few black drum, blow toads and a sea mullet. The Point had bluefish and blow toads. There were a few puppy drum around today also. The commercial boats are catching king mackerel, albacore, a swordfish. 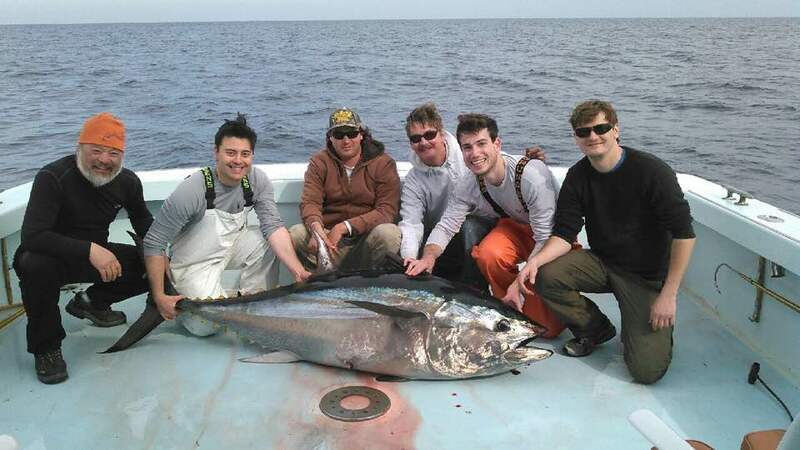 There was a bluefin caught yesterday. Frisco Rod and Gun’s custom logo mens tee featuring our store’s Chesapeake Bay Retrievers, Sailor and Gen surrounded by the Cape Hatteras Lighthouse, and the famous gamefish caught in our island’s waters, the Red Drum and the Blue Marlin. Today we had a high of 67F, with light north-north-east winds. We had on and off rain showers and some heavy rain at times. Welcome to Spring! Avon is reporting a few blow toads. Buxton had sea mullet, blow toads and a few black drum. Cape Point had a few sharks. Frisco reports some sea mullet and blow toads. Hatteras had sea mullet, small bluefish, blow toads and a few puppy drum. The offshore boats had some bluefin tuna action going on today, with a few brought to the dock and some released. The blackfins were biting good, along with the king mackerel. The bottomfish guys didn’t do too bad either, with catches of triggerfish and amberjacks. Beautiful weather today here. The temperatures were Around 70 today. We did have some heavier winds from the South-West later in the day. From the beach today from Buxton to Frisco there was a good bite of blow-toads and a few scattered puppy drum. Offshore today the fishing was great. There was a few blue-fin tuna bites around but no fish brought to the dock. There was a good black-fin tuna bite today. The bottom fishing was great today as well there was triggerfish, sea bass, and red snapper caught. Today was mostly sunny with calm winds. We had south-west winds 5 mph and the temperatures were in the mid 60’s. There were a few puppy drum and blow toads caught around Cape Point in Buxton today. On the Frisco beach a few blow toads were caught. There were some bluefin tuna caught up to the east closer to Oregon Inlet today. The bottom fishing for sea bass, vermilion and silver snapper and trigger fish were good today out of Hatteras. 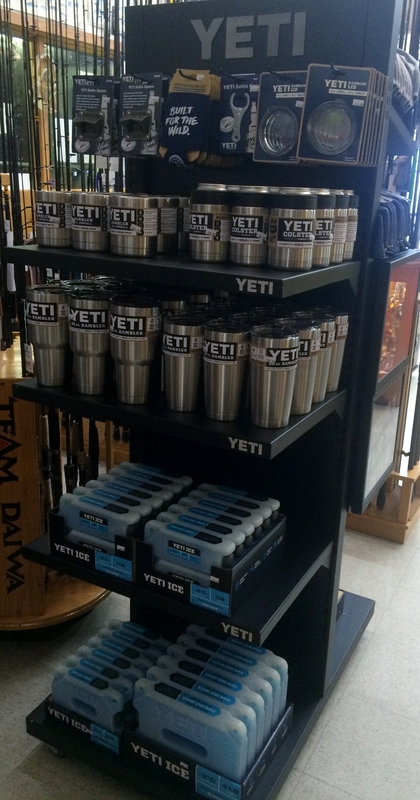 Frisco Rod and Gun is an official YETI Authorized Retailer. 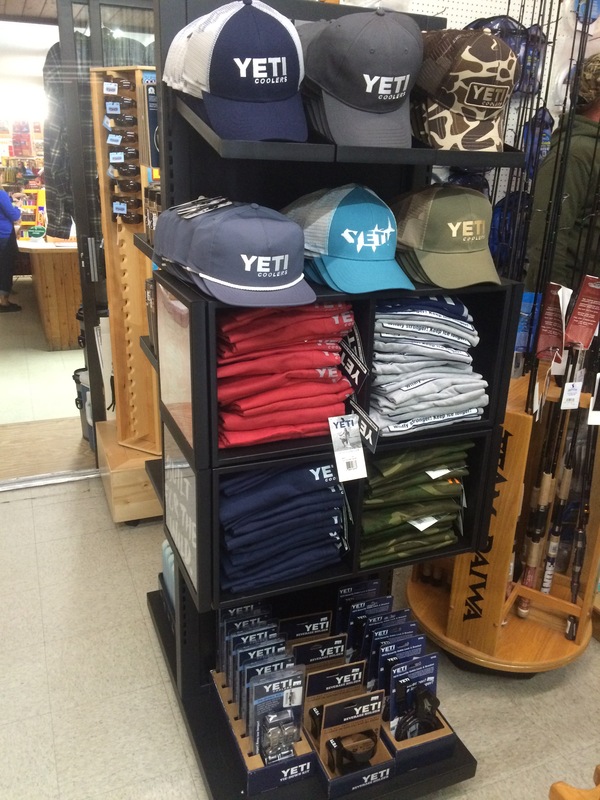 Our new display showed today and is fully stocked. 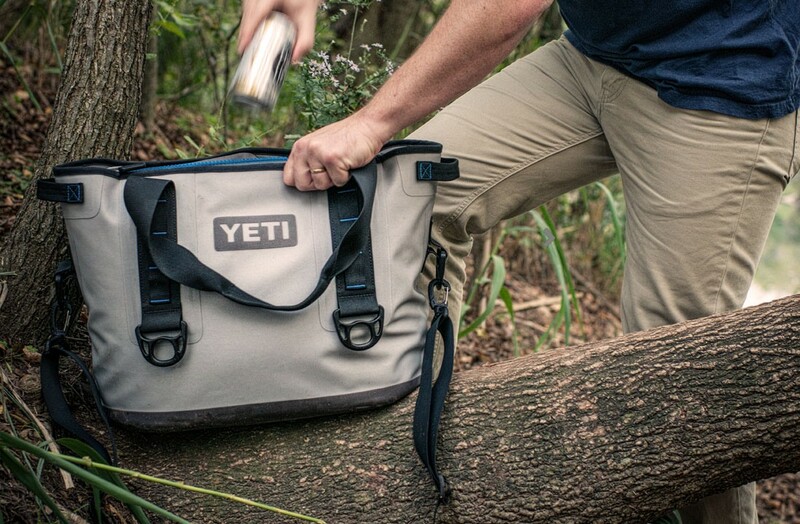 We also have the soft side Hopper 20 and 30 coolers too. Come by and check them out. We will have them online soon.